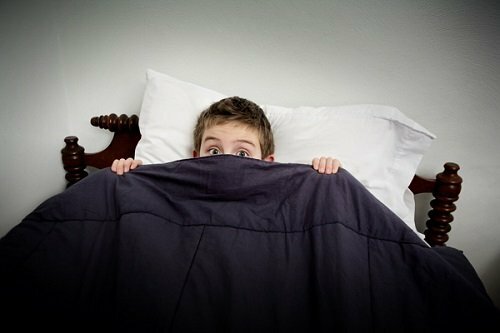 Fear of the dark is a common fear among children, some adults too find they retain this childhood fear into later life. Children may be afraid of what lurks under the bed, or in the closet. They may also be reluctant to go to sleep or sleep on their own putting a strain on tired, overworked parents. Fear of the dark and the unknown tends to evolve with imagination, usually around the ages of 2 or 3 when children become old enough to imagine, but are not yet wise or experienced enough to distinguish fantasy from reality. Although as already stated some people carry these fears with them through adulthood. There are also less distractions around to keep a child’s mind occupied at night, allowing overactive and developing imaginations to run wild. Some childhood fears may also develop into phobias as time goes on. Hypnosis particularly engages the imagination and games of ‘Let’s Pretend’ are popular with children, making the process of therapy both easy and fun for younger people. If your child is afraid of the dark and being alone at night, fearful of closing their eyes or going to sleep, or if they are consistently anxious, nervous or suffer from bad dreams, a few sessions of hypnotherapy might just do the trick. Hypnotherapy is a fast and effective way to deal with fears and phobias for children and teenagers. If you can’t visit me in person in Fairlight then working online with Skype is another alternative. Contact me now to make an appointment.